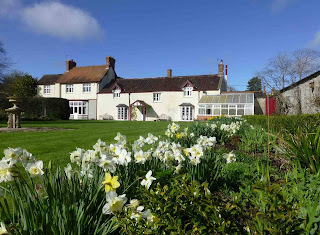 Cossington Park is available on a self catering basis for families and friends, reunions and as a retreat. There are 22 acres of superbly maintained gardens and grounds. The park is within the quaint village of Cossington & provides easy access to Bridgewater in Somerset. Park House has six luxuriously furnished bedrooms and four bathrooms. There are full size beds for up to 12 people, but sofa beds, put-u-up beds & cots can also be provided for kids. 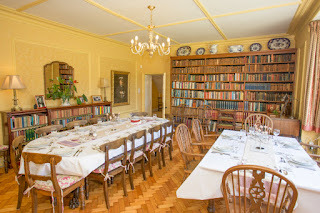 The house has plenty of space for guests to relax, including the drawing room which has two chaises longues and a sofa. There is an additional sitting room/snug which has a TV and games consoles. The dining room has ample seating for 22 guests, and a door leading out into the main garden. Park Cottage has a double bedroom and a twin/double on the first floor. On the ground floor there is a twin room and a bathroom. The living space is open plan & extends out onto decking where there is additional seating and BBQ. The house and cottage can be let together or separately. Both have private gardens but share the rest of the estate, children’s playground and table tennis room. Activities like archery, falconry, ballooning and much more can be arranged from the gardens of Cossington Park. Catering and beauty treatments are also available.